The historic Greenpeace ship Arctic Sunrise is coming to San Francisco. You’re invited on board for a free public tour of the ship. Meet the crew, experience the ship, and learn about Greenpeace’s work. All ages are welcome on board and families are encouraged. Ofreceremos recorridas en Español. 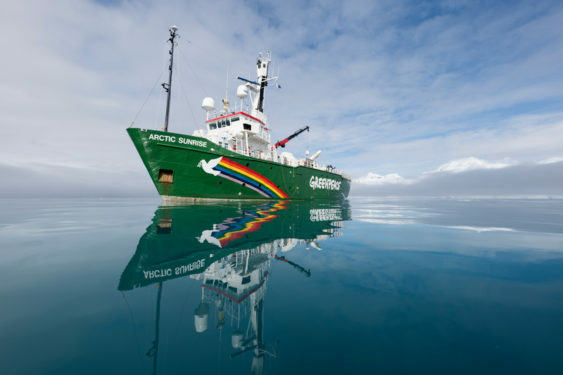 The Arctic Sunrise has campaigned around the world for Greenpeace for over 20 years. It has been to the Arctic circles, navigated the Congo and the Amazon rivers, stopped illegal fishing, and protested offshore oil drilling. Now it’s coming to San Francisco in the run-up to Gov. Brown’s Global Climate Action Summit.